The world of private investigation might seem so glamorous that you look into how to become a private investigator. Though you might imagine yourself taking photographs and tracking down bad guys in the field, you need to prepare yourself for the realities of the job. Most investigators spend more time in their offices than they do in the field. They meet with clients, perform background checks for clients and do research into potential cases from behind a desk. If you like the idea of working long hours on your own both in the office and the field, you need to learn the steps to take to become a private investigator. The best private investigators are those who have experience before working for a company or opening an office. The majority of those working in the field have some type of law enforcement experience. They either worked as a police officer or a security guard. Working as a security guard is a great alternative to going through the police academy. You’ll learn how to keep your eyes peeled for any signs of danger, how to keep clients secure and maybe even how to use a firearm. Those looking at how to become a private investigator often wonder if college is necessary. Whether or not you go to college depends on the amount of experience you have and whether you want to open your own office. If you hope to open your own investigation firm, you’ll generally need to go to college and study both marketing and business to learn how to advertise your services and get new clients. While having a degree isn’t necessary, many will find going to college helpful in the long term. Depending on the type of work you do, you may need to obtain a license to carry a concealed weapon. Many states in the country now offer concealed carry permits, but you’ll need to meet some specific requirements to get that permit. You usually need to go through some type of training that teaches you how to use a firearm and helps you learn about firearm safety. The state may also ask you to go through a background check that is similar to the check you need to go through before buying a gun. A concealed carry permit helps you stay safe while working in the field. Private investigators make around $44,500 a year, according to the Bureau of Labor Statistics, which found that this is the median salary of professional investigators. Before you become a private investigator, you should find out if you need a license in your state. 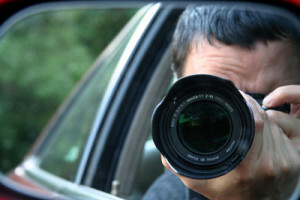 There are seven states that now require a private investigator have a license. Getting a license usually means that you need to submit your fingerprints to the local police department and allow the department to do a criminal background check on you. Some states require that you have a certain number of hours working in the field as a police officer or in a similar profession and that you have some type of college degree. A private investigator works on cases ranging from divorces to employment screenings. To become a private investigator, you may need a concealed carry permit and a license from your state.